Monitoring Your Clients VMWare Infrastructures. Surflog for ConnectWise Automate Adds New Charting with DevExpress. Need to add a new user, re-enable a user after lockout or just manage a password change, you can perform quick tasks in Office365 directly from your Labtech consoles. 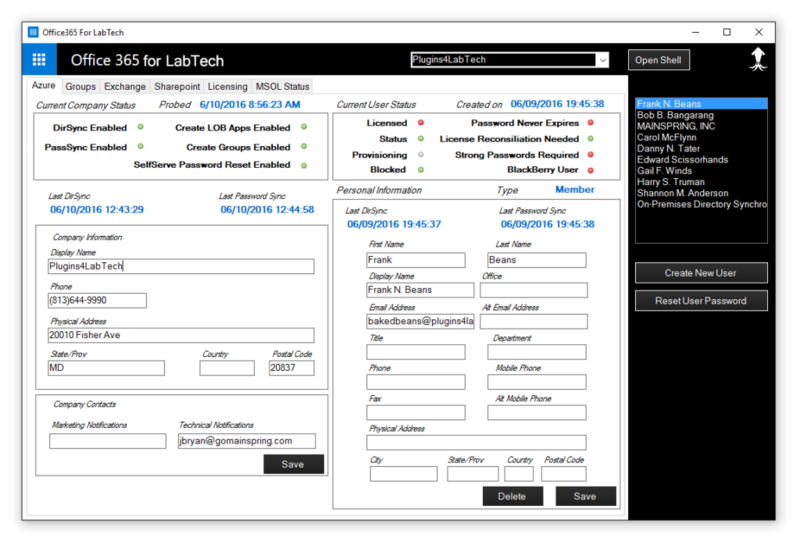 Create new sites or manage users and groups for existing sites quickly and easily inside of LabTech. Hi we are user of Labtech/automate. We are using a few plugins and because we are trustmark certified we just need some information on your company. We have tried to email and call a few times at the website for plugins4labtech but have not got a response. your products were are working very good we just need to have information on any company we purchase from.